Since last night I have been in Lapperanta. We are here to perform the last Speksi show. It feels a bit like an end of an era. Joining Teekkarispeki was my best decision this year. It has been a great way to immerse with Finnish student life. This was probably the 7th time that I saw the Speksi show. Still enjoying it! 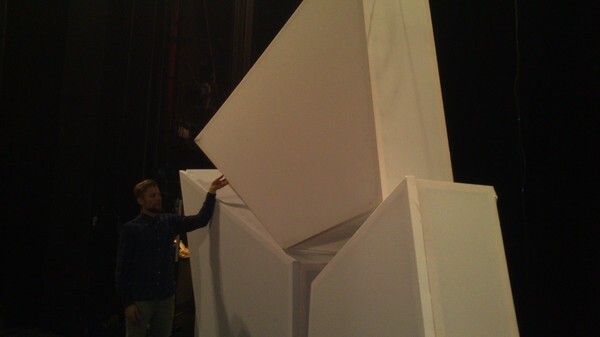 I am amazed with the energy and effort that is put into the show. 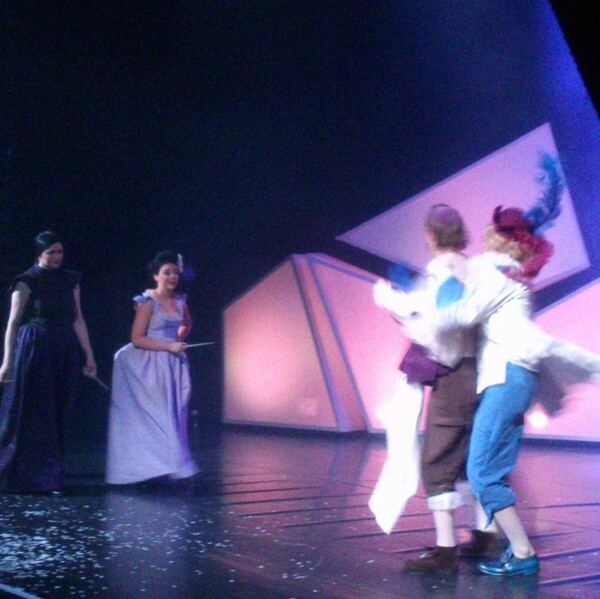 I feel proud to be a part of it.This weekend the final two shows will take place. 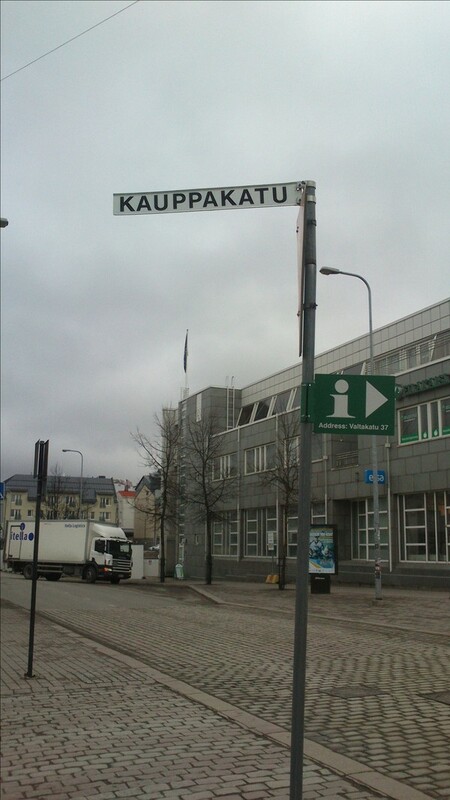 One in Turku and one in Lapperanta. If I understood it correctly the tour bus leaves from Otaniemi campus at 5:30(!) Saturday morning. 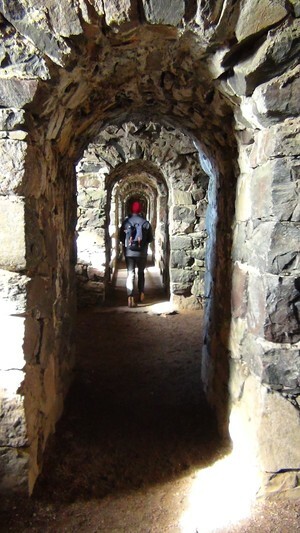 My home university, Linköpings Universitet, has an Instagram account where one student is in charge each week. About a month ago I was asked if it was something that I would like to do. I said sure so this week it is my turn. Hopefully I will be able to figure it out. I just downloaded Instagram to my phone. 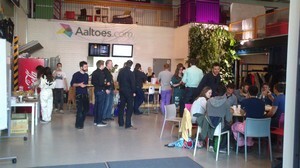 Tune in at liu_student to see this week's Helsinki/Aalto student life in pictures. 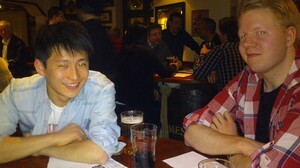 Wednesday I went to an Irish pub with some PDP members to try out a pub quiz. 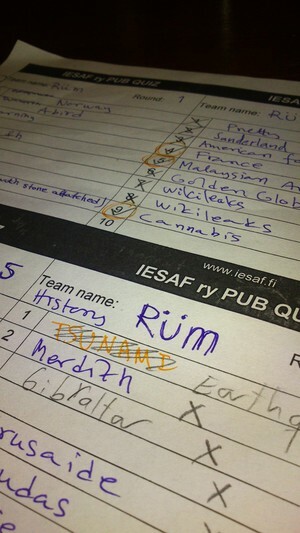 The quiz was organized by the International English Speaking Association of Finland and turned out to be really difficult for us. There were several rounds and the best we got was 6 out of 10. 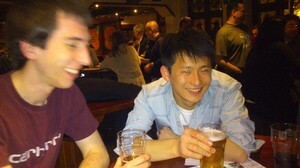 It was fun but all native English speakers totally beat us. Sunday I visited The Olympic Stadium. 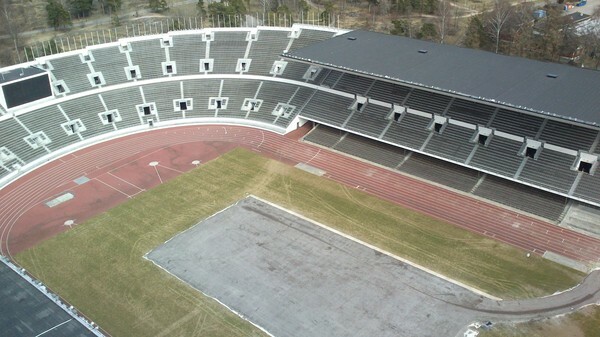 Helsinki hosted The Olympic Games in 1952. 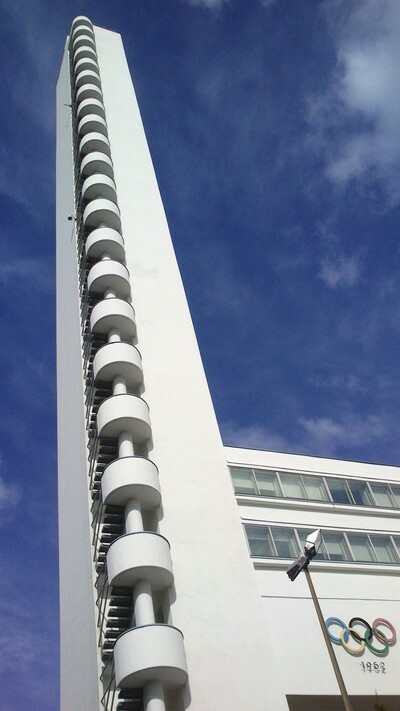 The student housing at Otaniemi campus (where I have had most of my classes this year) was actually originally built as housing for the Olympic athletes. By paying 5 EUR I was able to go up in the 72 meter high Olympic Tower. 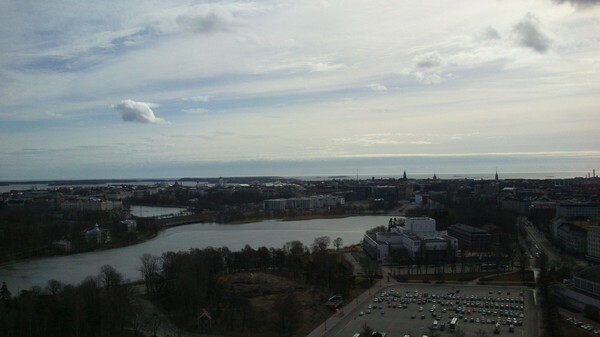 72 meters is not that high compared to buildings in other citys, but it was enough to get a good view of Helsinki! 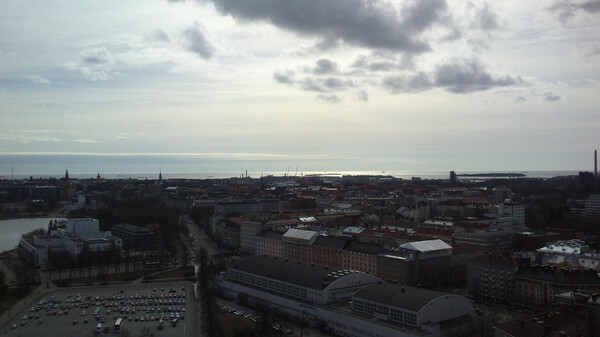 Here is a 180 degree view of the central parts of Helsinki divided into three pictures. 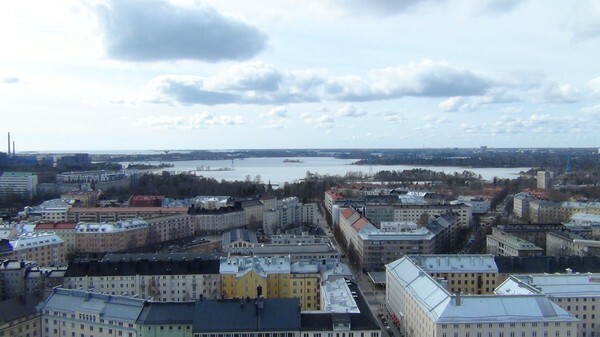 The view of Töölö Bay and the area where I have been living during my stay here. Otaniemi Campus is located on the other side of the bay. The view of the main road Mannerheimientie going through Tölöö leading down to the city centre. In the far you can see the harbour. The view of Töölö lake with Finlandia hall to the right and the railway tracks to the left. 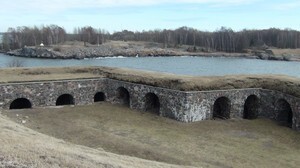 Soumenlinna or Sveaborg in Swedish. 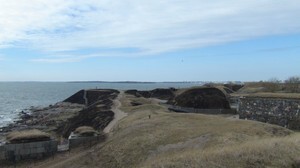 A fortress Island with 6 km of walls guarding the city of Helsinki. Originally Soumenlinna belonged to Sweden, then Russia. 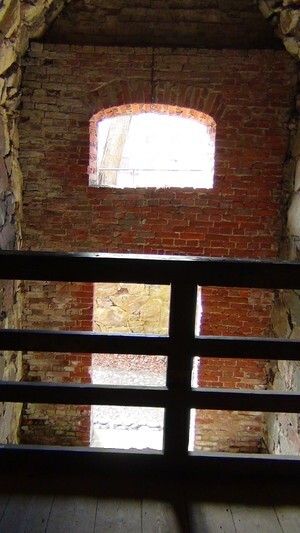 During the fist World war the fortress functioned as a prison. During the second World war is was a submarine base. 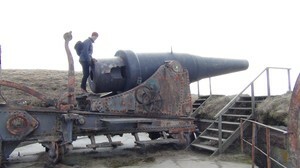 The military moved away from the Island in the 1970's, now it is mainly a tourist attraction. 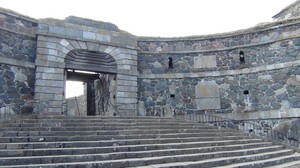 The Island is now an UNESCO World herritage for military architecture. However people also live on the Island. It is connected to the city with ferris that run on the regular public transportation system which makes it really easy to get there. I would like to return for a picnic when the grass is greener.